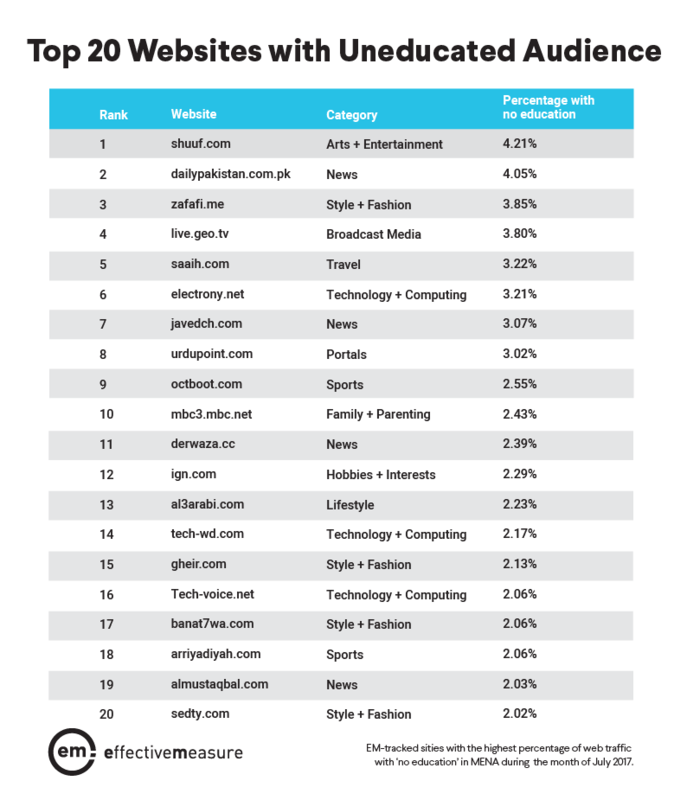 Website audiences aren’t always as they seem. While some websites may advertise that their site and content are for one specific demographic, the visitors making up their traffic might be the complete opposite, because website audiences aren’t strictly controllable. No matter how hard you try to curate your content for female readers exclusively, male users can find and consume it too. 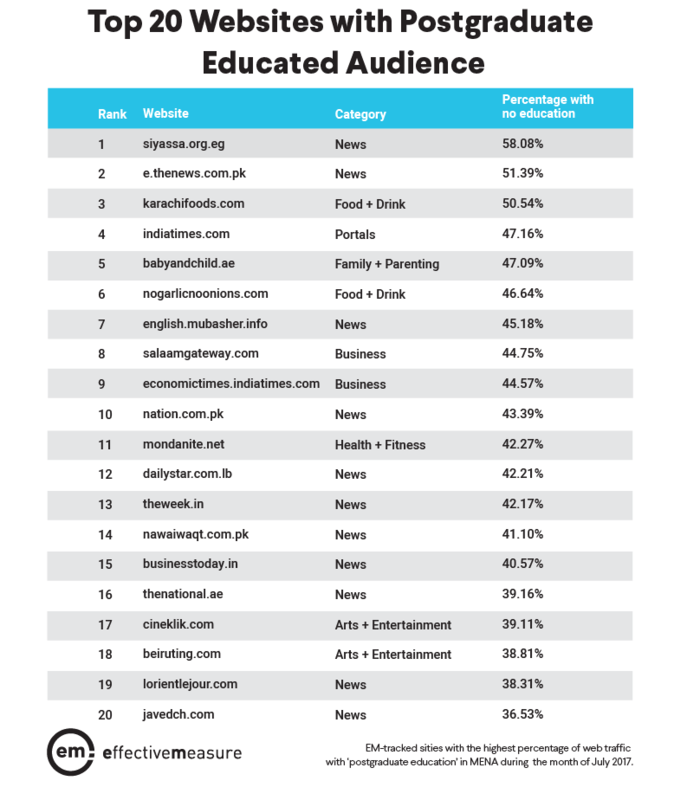 So, publishers, how do you know who’s reading reading your content? 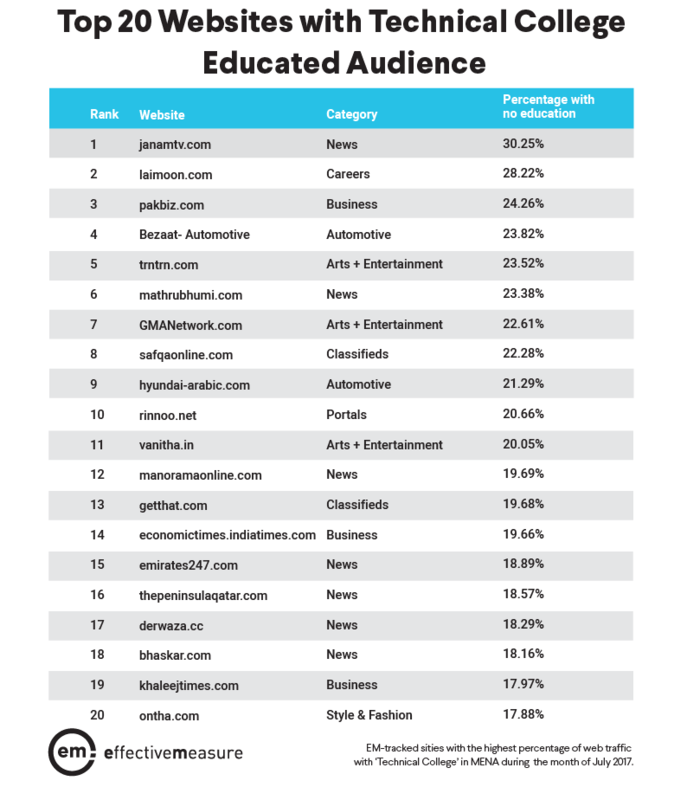 And, agencies, how do you know if your ads are reaching the right people? 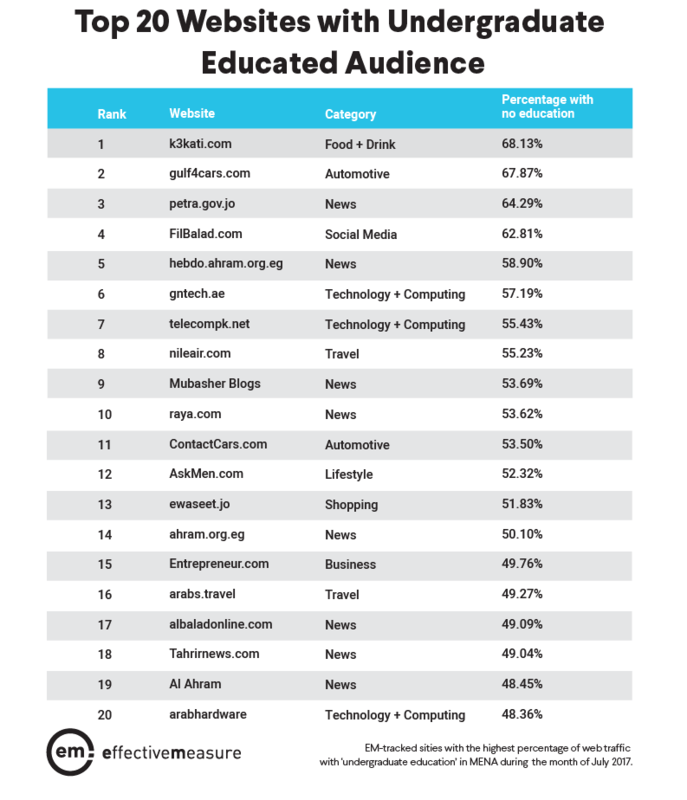 To show you why audience data is crucial for both publishers and advertisers, we compared the top 20 websites in MENA for audiences with different levels of education. 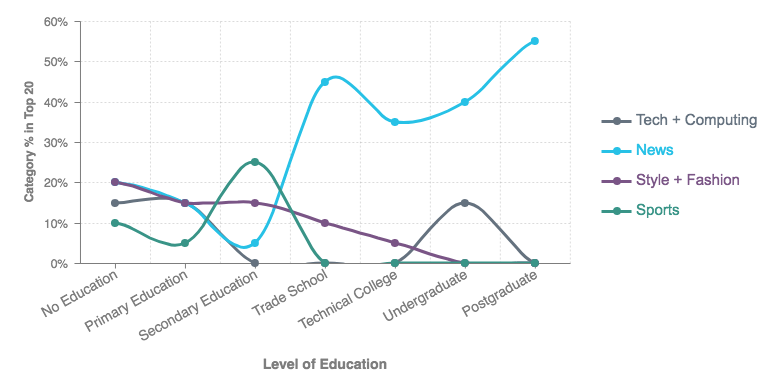 What does this tell us about how education level affects traffic behaviour? 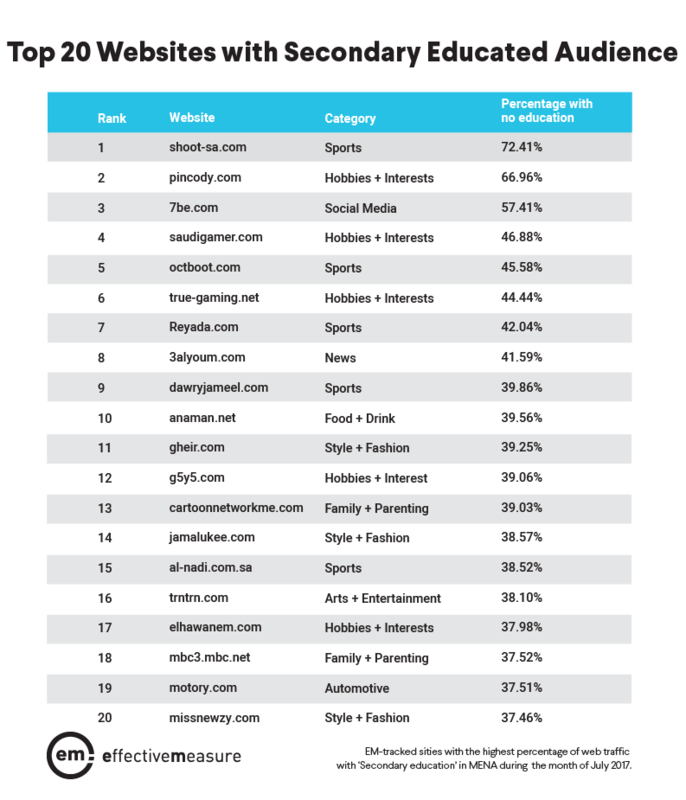 The audiences of sports sites generally consist of users with lower levels of education. At Narratiive, we measure and quantify site traffic and audiences. We’re able to identify a range of demographic characteristics about those who visit the websites tagged with our tracking code. These characteristics include age, education, field of employment, relationship status and household composition. 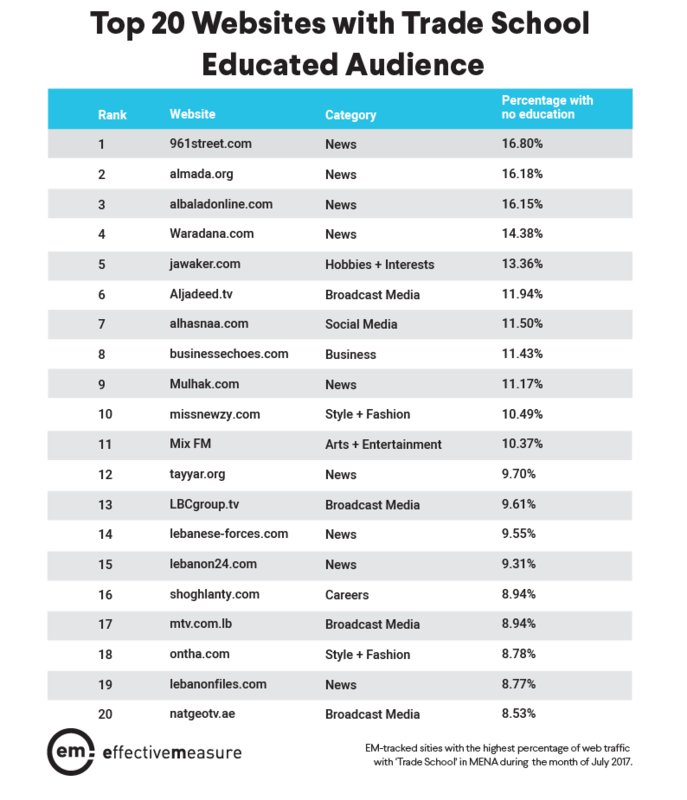 With access to this data, publishers are better able to understand their website audiences and agencies can more effectively target their branded content towards the relevant markets. 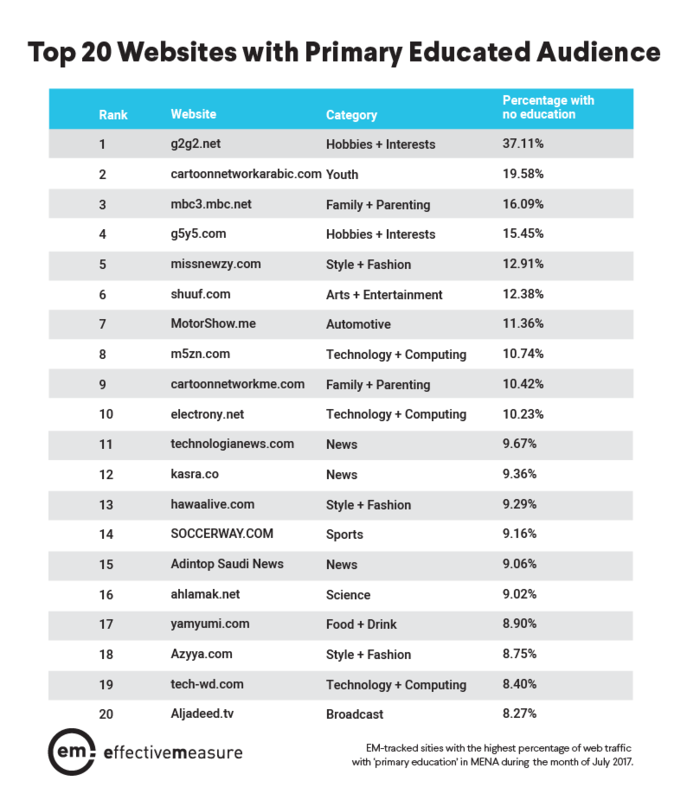 As can be seen from the data, understanding your websites audience is crucial for both your content and your brand advertising. To sign your website up for Narratiive audience tracking or to remain up-to-date on future audience profiles, join over 25,000 other monthly visitors and register for your free Narratiive account.